Wacken is the summer paradise for the metalhead: more than 80 bands, from everywhere and with varied kind of music, a big metal market, an unique atmosphere and a good organization. 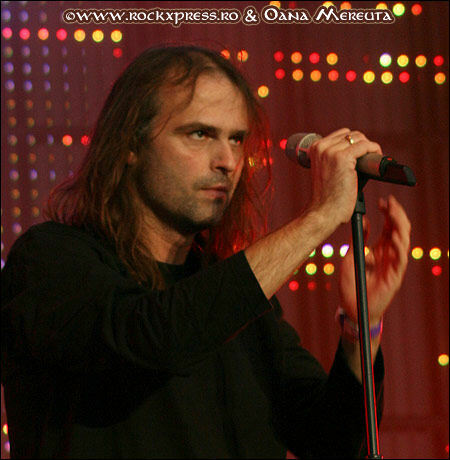 This year, Blind Guardian headlines the event, playing the second day, after Lacuna Coil, from 9:15 p.m. to 10:45 p.m.. Well, it was scheduled like this, since the band began playing 5 minutes earlier and finished 10 minutes later, but who will complain about it? 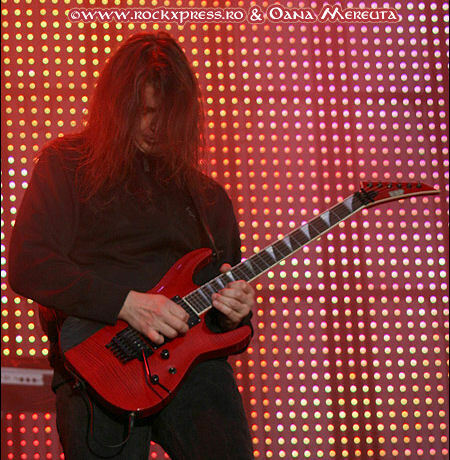 After seeing Enslaved with Thierry, we go to "True Metal Stage" for the band that I was really waiting this year. I had seen Blind Guardian in Paris, and it was really good, with a classic but effective set list and a warm atmosphere, even if Hansi was sick. But I was sure that in Germany, their country of origin, with an audience of 40,000 people, it would be better. I was right. We were note very near of the stage, but we could appreciate the music and breathe at the same time. Moreover, the giant screen let us see the show very good, and the sound was really awesome. The concert continues with Into The Storm, a classic with a catchy chorus, sang by the audience. 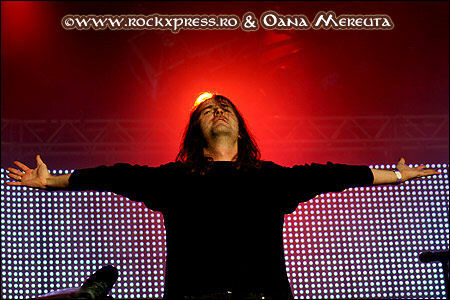 A great moment at each concert of Blind Guardian, even if it is foreseeable. Then came Born In A Mourning Hall, from Imaginations From The Other Side. I'm not a big fan of that song, I prefer many others, not often played. A good chorus, nevertheless, but not one of the best moments for me. Then, the band sang the fall of the Noldors, with the track Nightfall, one of my favorite ones. 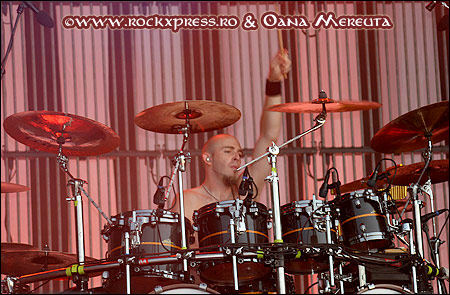 Hansi is in form, and active on stage, which is noticeable, even if I find that he always has a real presence without moving. First track of the last album played tonight, Fly seems to convince the audience. This song is really good live, even if I don't consider it as the best of A Twist In The Myth. After 5 songs, the band is really awesome everywhere: Frederik behind the drums, Marcus and Andre at the guitars, with great soli. The next song is an anthem of the band since 1989: Valhalla, sang by the spectators 10 minutes after its end. A great moment of the show. First surprise of the concert, Otherland is played, one of my favorite tracks from the last album. Really good live too. Then comes Welcome To Dying, with its awesome chorus, and Traveler In Time, from the album Tales From The Twilight World. The track begins like in the live album Tokyo Tales, and I found it very good. I think they should play it often, since it is still effective, so many years after their release. 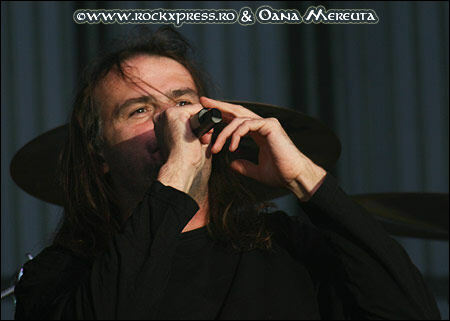 After this good moment came THE song of Blind Guardian in live, The Bard's Song (In The Forest) . You had to be there to feel 40,000 people singing it. After this calm came the storm with Bright Eyes and Time Stands Still (At The Iron Hill), my favorite track of Nightfall In Middle-Earth. The band stops playing, before coming back for Imaginations From The Other Side, another classic. I was really enjoying the show since many songs weren't played in Paris. Punishment Divine was the next song, really good too. But the best was to come for me, with Lord of the Rings, the best moment of the show for me. To finish, the band concludes with This Will Never Ends, a good track from the last album, and, of course, Mirror Mirror. Really happy, I could sleep, a smile on my lips. I found that it was a great show, better than in Paris. And Then There Was Silence wasn't played, but it wasn't a bad thing, since, even if this song is one of their best, it is long. 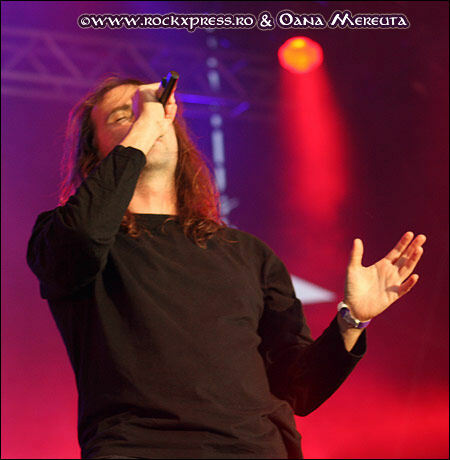 Today, Blind Guardian played more songs, and surprised me with tracks like Traveler In Time or Otherland. Now, the only song that I want to show at one of their concert is Mordred's Song, my favorite one from Imaginations From The Other Side. 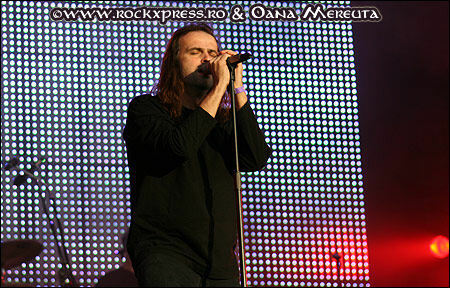 Every photo of this report has been taken by Oana Mereuta and comes from RockXpress.